Beth wondered why it took so long for the Black Cherry candle to arrive. Cherries are one of my all time favorite Summer flavors. I love them in so many things so when we launched Baxter Manor, it was one of the first things I thought of. 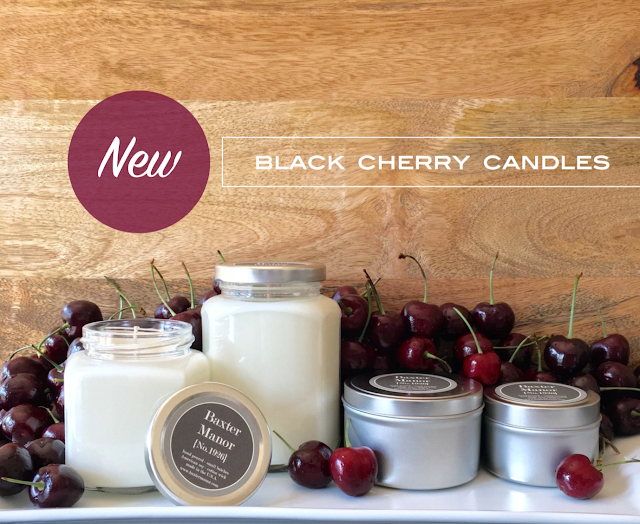 The challenge was creating a scent that was worthy of all that is glorious about cherries. Sweet, but not too sweet, a touch of vanilla and the overall sensation of Summer. Well, we finally found that perfect mix.